It’s been a while since someone assumed I’m pregnant (I’m not) and asked me when I’m due, but it happened this morning. 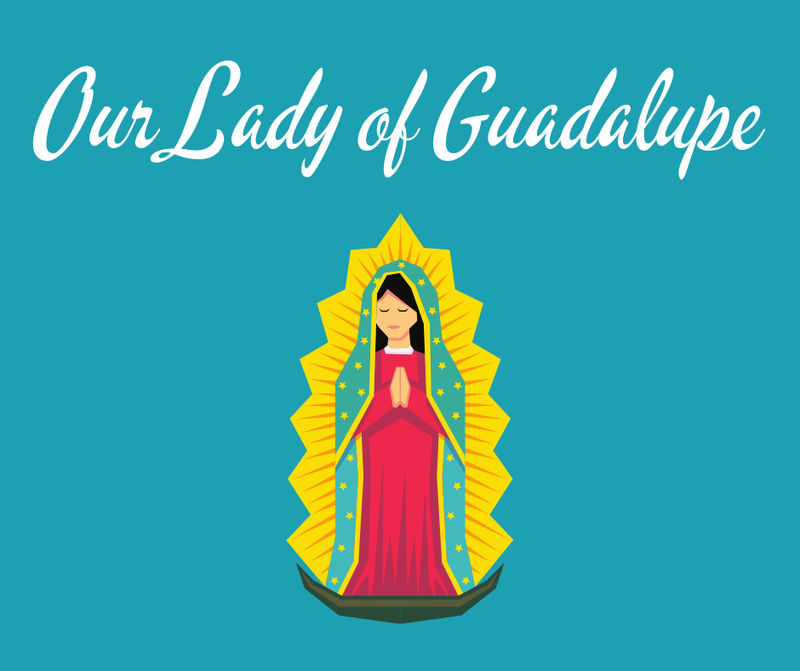 Today is the feast of Our Lady of Guadalupe, when we celebrate the miraculous appearance of the Blessed Virgin Mary to St. Juan Diego in Mexico, over 500 years ago. I went to Mass and was so encouraged by the priest’s homily. He described how the culture of the indigenous people of Mexico had been largely destroyed by the Spanish settlers and how dignifying and significant it was for the Mother of God to appear to Juan Diego, an indigenous man. There were many bishops and cardinals and priests that God could have sent her to. But she came to someone on the margins of society, and I love her for that. With her experience as an unwed teen mom in first century Israel, Mary knows what it is to be on the outskirts of acceptable society. She meets Jesus in his humility as she continues to extend grace to all, leading us to her Son. I left that encounter thinking about my body, the dress with horizontal stripes I’m wearing, and our culture’s expectations that women who do not hide their big bellies (and wear horizontal stripes!) *must* be pregnant. The past few weeks have been pretty rough for me emotionally and spiritually. But I’ve started feeling the seeds of hope start to take root in my belly--you know, right in the feels? (Have I ever said anything more millennial in my life?) --and I can tell hope is growing. I got in the car to head back to work after Mass and texted my husband. On this feast of Our Lady of Guadalupe, I guess I am pregnant, in a way--pregnant with hope.